With all of the changes in Health Care Plans and the increasing cost of health-care premiums there has been a significant move for employers and individuals to utilize “high-deductible” health care plans to reduce premiums. This can be an effective strategy for reducing premiums but it does have it’s additional risks to the insured individual. With this decision comes the added responsibility of the patient or insured individual to pay for more of the initial cost of medical care. Many insured individuals who choose these plans are either not aware or forget the fact that the deductible component of their care that they are financially responsible for has gone UP and and not down. The decision to participate in these types of plans is the choice of the patient, not the health care provider. Participation in this type of plan does NOT have any effect on the amount the patient owes the provider or provide”automatic” discount to the patient from the health care provider. When you participate in these plans, you are now responsible for a greater initial amount (i.e. the “deductible” and/or “co-pay”) than you may have been previously. That often comes as a surprise to patients when they receive the “Explanation of Benefits” (EOB) statement from their insurance company. We understand that in this economy it may be hard for some individuals to pay that new, higher deductible that they chose, to save money on premiums, but are now responsible for. Although we receive requests to waive or reduce such deductible amount, we are prohibited by our contracts with the insurance companies, insurance regulations and the government regulations to do so! For us to provide those reductions would result in our violation of these contracts and regulations. For that reason, we are unable to make such adjustments because of your choice to participate in a high-deductible plan. However, because we understand the difficulty that this causes for individuals, we are more than happy to work with you in the formulation of a payment plan which can help you pay your financial obligations yet not be an undue burden. Please contact our billing service to set up such a plan at 630-874-2514. If you are in need of such help, please contact the billing department as soon as possible, to avoid missing payment for services and any actions that may follow from such delinquency. PLEASE NOTE: Recently insurance companies have initiated auditing of patient billing and payments for co-pays, deductibles and other forms of patient obligations, for ensuring compliance with their terms of service, with the provider and/or the insured patient. 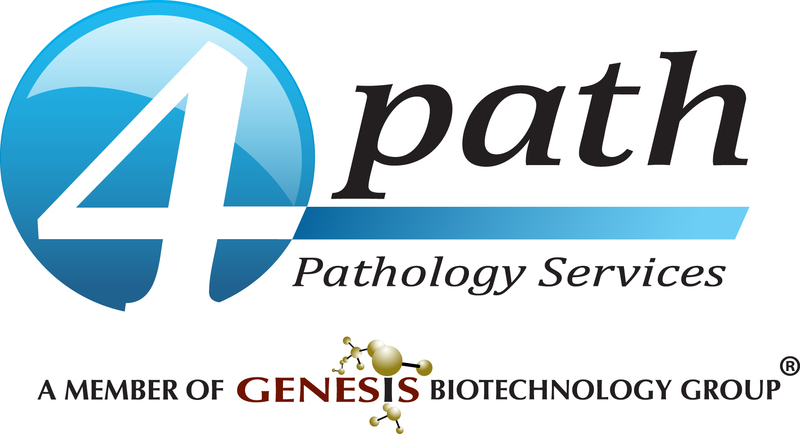 While some laboratories may be in violation of these policies by the automatic elimination of the patient payment responsibility for the purposes of obtaining business, 4path’s has maintained it’s compliance with the terms of service with insurance companies regarding patient responsibility. Please understand that when we bill the patient for the balance they are responsible for, it is because of our contractual arrangements and legal requirements. Patients are only billed for the amount allowed by insurance agreement, after contractual adjustments and calculation of the patient responsibility by the insurance provider. Pleases do not ask us to violate the terms of our insurance provider contract or legal requirements by requesting reduction of your financial responsibility. We understand that there are some individuals who need, but cannot pay for the services that they have received. This does not apply to those who can pay for the services that they have received, but do not want to pay for them. Please remember this: The provision of medical services to you are not free. It costs significant amount of time, effort and money to provide those services. For that reason, we believe that everyone should pay for the services that they have received. Not paying your bill is no different than not paying for your groceries, gas or rent. If you are unable to pay the full amount, there are installment plans to fulfill your obligation, or you may request reduction of your obligation by requesting financial consideration. If you are truly in need of financial assistance and you are unable to pay for these services (i.e. require “charity care”), please download this form (Request for Reduced or Waived Payment), complete it and fax it to 630.560.0120 . For those individuals who are truly in financial need, assistance is available, but ONLY if you request it in writing and qualify for it. Please be sure the form is completely filled out, dated and signed. Incomplete or unsigned forms cannot be considered for this program and submitters will NOT be notified of incomplete submissions. It is the responsibility of the submitter (you) to ensure complete, acceptable submission. Please remember that although we want to help those who are in true need, we are unable to do so if we don’t know who that is. That is the reason that all submissions must be made in writing using this form: Request for Reduced or Waived Payment PLEASE USE THIS UPDATED FAX NUMBER: 630.560.0120 for all submissions. Thank you.